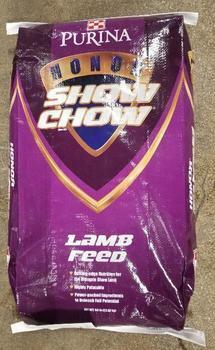 Purina Animal Nutrition is recalling two lots of Purina Honor Show Chow Showlamb Grower. The product has elevated copper levels, which can cause health issues and potential mortality in sheep. One customer has reported mortality in four sheep that may be associated with these two lots. The recalled product was distributed in Arkansas, Louisiana, Oklahoma and Texas. Customers who purchased this product should return remaining bags to their retailer. Consumers with questions may contact customer service at (800) 227-8941 from 8 a.m. – 4:30 p.m. (CT) Monday through Friday.